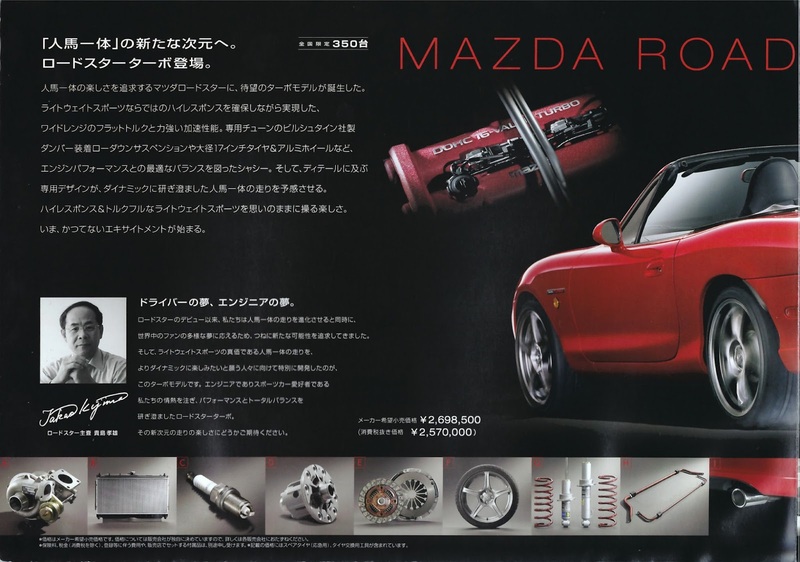 After experimenting with various MPS performance concepts of the 2nd generation Roadster, Mazda launched a factory turbo model in early 2004. Roadster Turbo was limited to 350 models, so is quite a rare edition. 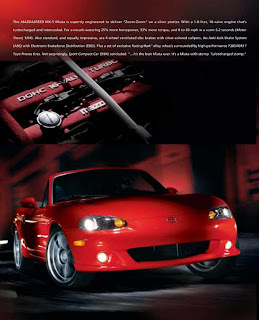 As well as an intercooled turbo engine, this model also featured 17" Racing Hart branded Enkei wheels, Bilstein suspension, and some unique exterior aero parts and interior colour combinations. 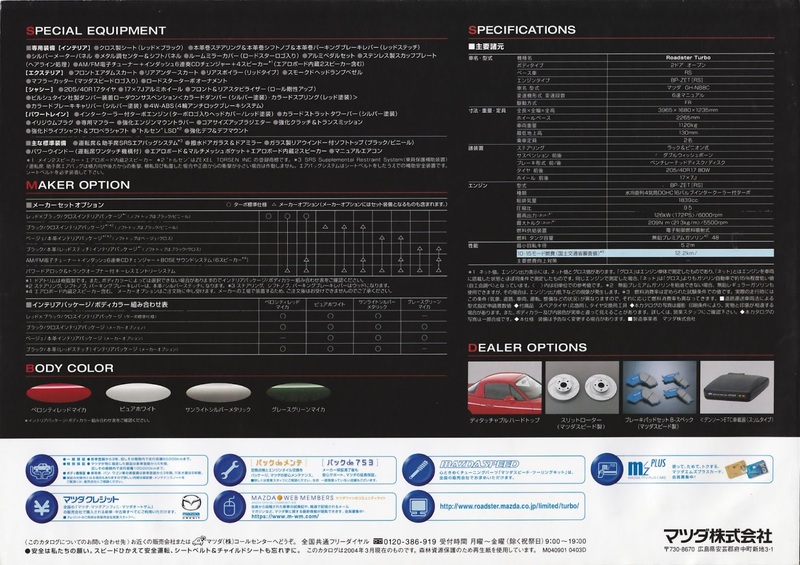 The turbo model was available from Mazda dealerships in Japan and could also be ordered online through the Web Tune Factory. 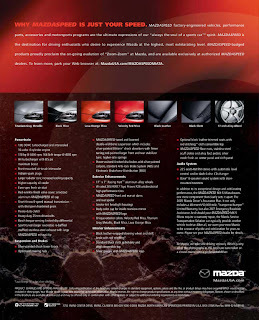 Mazda used the older BP-ZE engine for the turbo model, it has a slightly lower compression ratio (9.5:1) than the BP-VE. 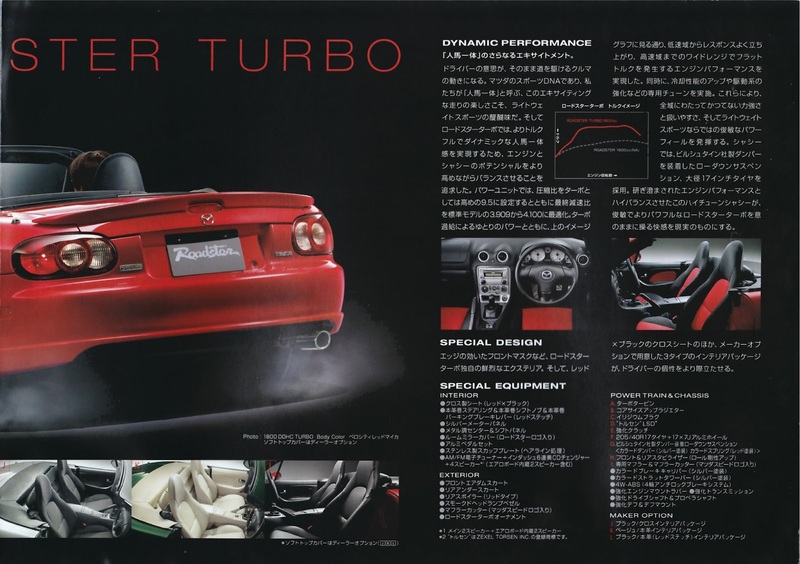 The turbo itself was made by Japanese engineering company IHI Corporation, and was tuned to provide a relatively modest boost of power to 172PS @ 6000rpm and 209Nm @ 5500rpm, this was a 20% increase in torque over the standard model. 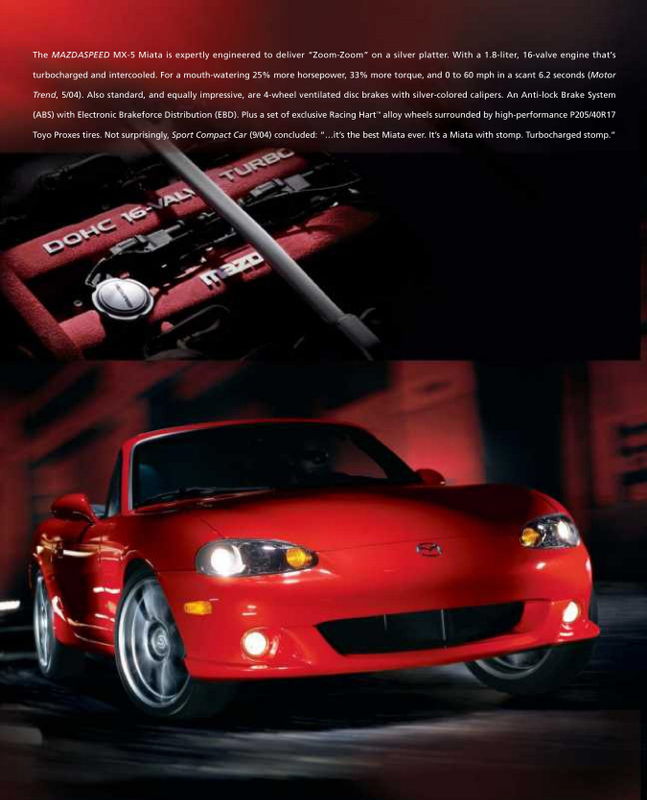 The engine was fitted with iridium spark plugs, a special radiator, and an exclusive cam cover with a nice red finish and silver lettering. To cope with the torque boost, the turbo model gets an uprated clutch and transmission, and strengthened drive and prop shafts. 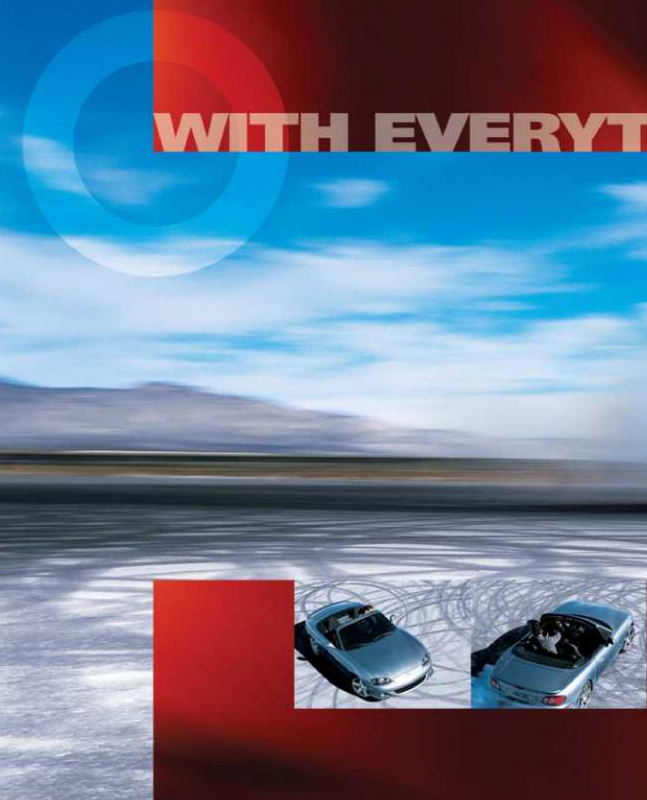 It also used a torque-sensing limited slip differential and a specially designed exhaust muffler. 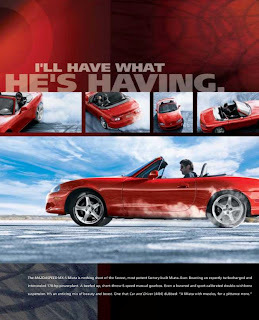 To make the car stand out visually from regular models, the turbo had newly designed front and rear lip spoilers, a large boot spoiler, smoked headlamp inner bezels, and special Roadster Turbo badges on the front wings. The interior had some nice parts too such as the black leather steering wheel, shift knob, and handbrake, all with red contrast stitching. There was also a rear-view mirror cover with the Roadster logo and a set of alloy pedal covers. 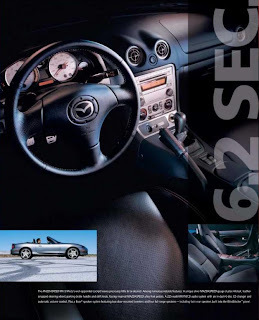 The seats were an exclusive red and black cloth as standard but there were also options for plain black cloth, beige leather, and exclusive black leather with red stitching. You could have a Roadster Turbo in one of four colours; Velocity Red, Pure White, Sunlight Silver, and Grace Green, it would set you back 2,570,000 JPY. Let's take a look through the brochure. 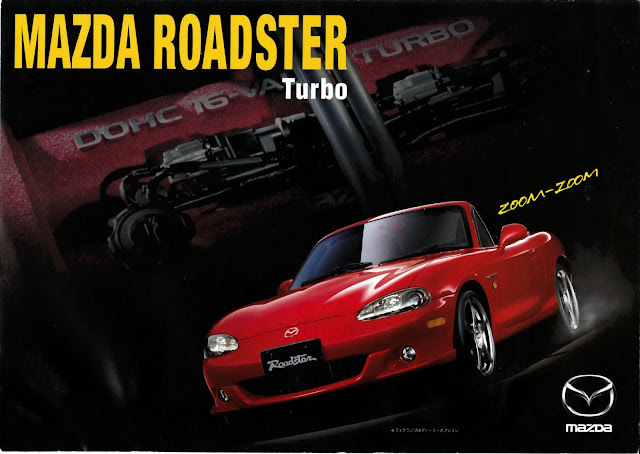 A left hand drive version of Roadster Turbo was produced for the American market in 2004 and 2005. Here the car was known as the Mazdaspeed Miata. 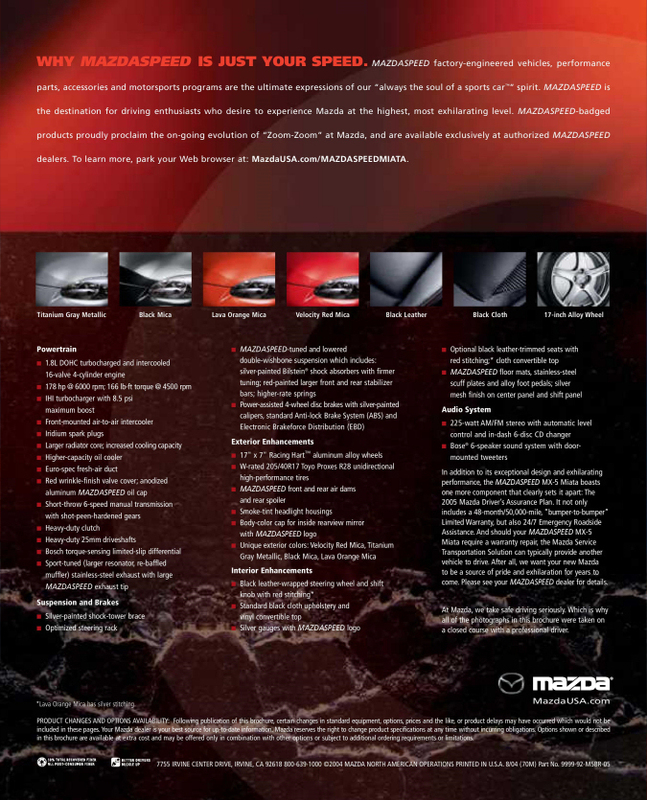 The Australian market gets a special mention here as they had an altogether different turbo model. 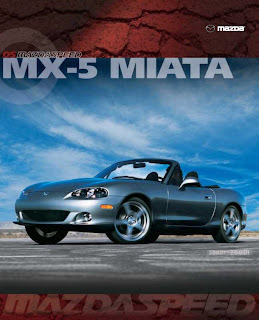 The MX-5 SP (Special Performance) became available in 2002. 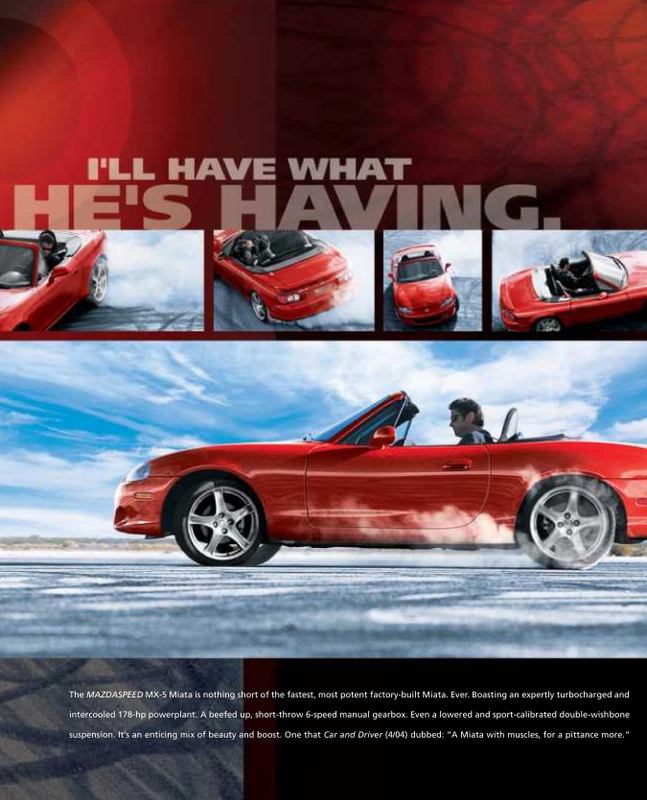 This model was based on a standard 1.8 MX-5 NB2 that was upgraded under direction of the Mazda Motorsport Division based in Sydney. The car predates the factory turbo model and differs in a number of ways. It uses the BP-VE engine with S-VT fitted with a carbon fibre airbox and an intercooled Garrett Turbo conversion running 8psi. 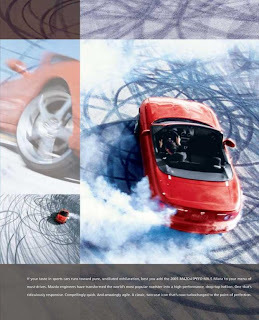 These modifications give the car a huge power boost to just over 210PS @ 6800rpm and maximum torque of 289Nm @ 4600rpm. It was a bit of a brute and the conversion wasn't particularly neat. 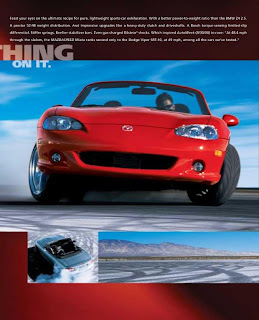 There were no unique wheels or aero parts either, the car looked very much like a standard MX-5 with the only giveaways being the intercooler in the front grille and an "SP" badge on the rear.